Xenu’s Criminal Associate Arrested – OTVIIIisGrrr8! 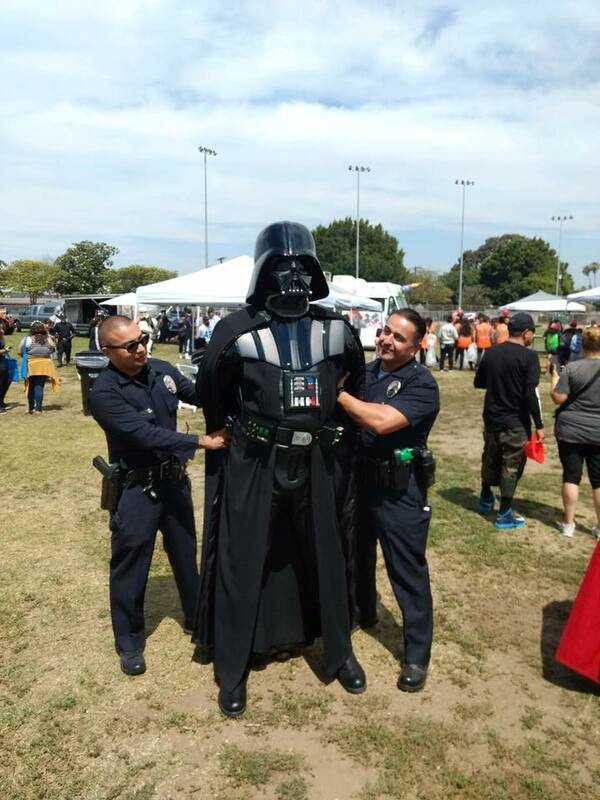 “Spacelord Xenu’s long-time criminal associate Darth Vader was arrested and taken into custody at the Scientology World Fair in Hemet,” announced International Justice Chief Mr. Ken Delusion. “Vader was spotted in the Operating Thetan Pavilion trying to steal upper level materials as these fetch astronomically high prices on both the Marcabian Black Market and in Hong Kong,” Delusion reported. Mr Michael Cohen, the attorney for the galactic overlord Xenu issued the following statement: “My client has no recollection of this Garth Vador fellow. If he was ever employed it would only been as a covfefe maker or in fetching snacks from the Farsec Hamburger Emporium. This baseless allegation is fake news from the failing Marcab Times!